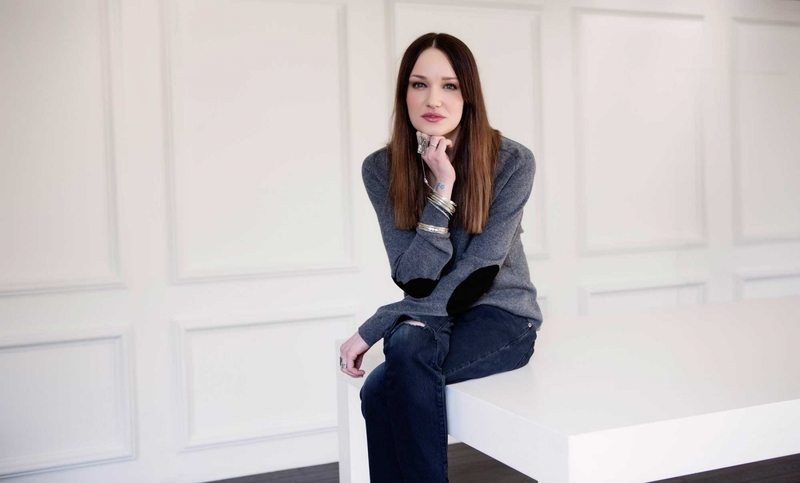 This is Octavia Bradford, denim buyer for Net-a-Porter and curator of their very nicely edited jeans selection. Like the jeans she’s wearing? They’re special Levi’s exclusive to Net. We love them. As of today, you can buy them on net-a-porter.com. Here’s their story! 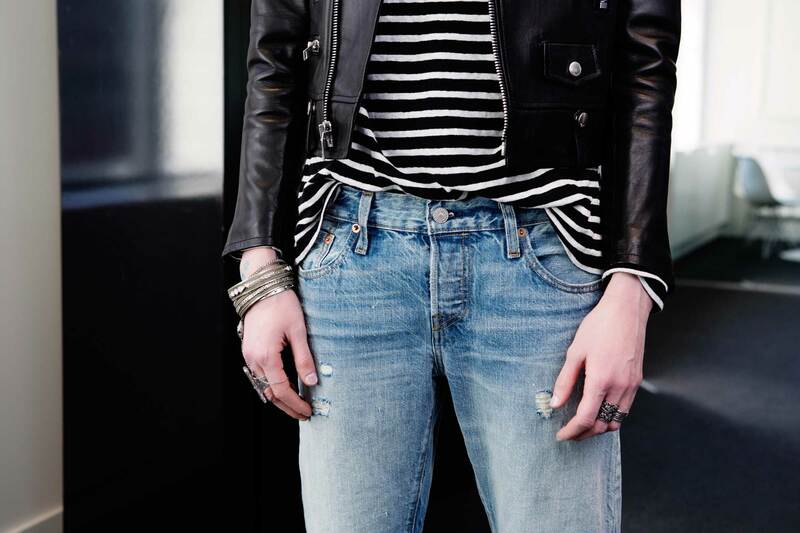 It only takes a quick click through a street-style slideshow to know that Levi’s 501s have reappeared on the scene, styled perfectly by editors, stylists, models… How do these women make them look so cool (read: not dated, not mom-ish)? Well, we happen to know some of them have theirs tailored – tapered, specifically – to make them a little slimmer in the leg, and more modern. Levi’s knows this too, which is why they’ve recently introduced their new 501 CT (Customized and Tapered) style. 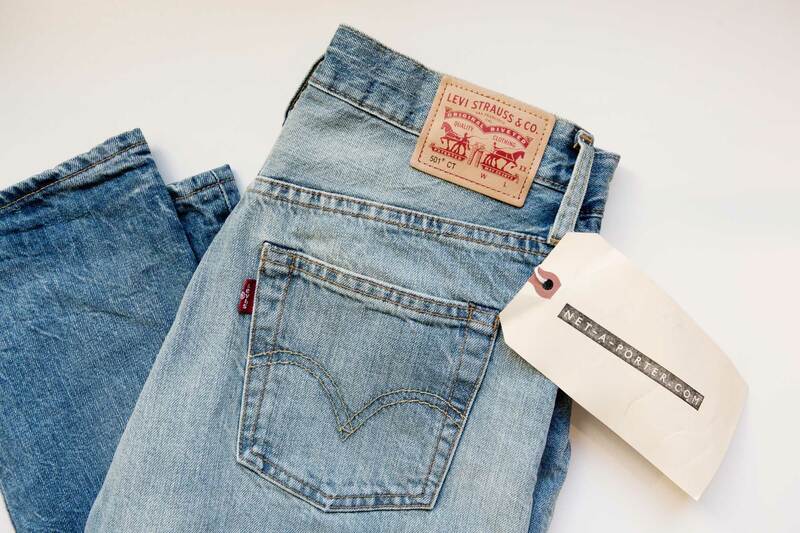 (As their SVP of Global Design Jonathan Cheung points out, the second-most requested 501 tweak in Levi’s stores, after hemming, is to have them tapered). So, buy a pair of CTs – no trip to the tailor required. Well, just as Levi’s was planning the CT launch, Octavia was looking for a way to offer that seen-on-the-street, vintage-y look to Net-a-Porter’s shoppers (thanks, Net – always looking our for us). So she flew from London to San Francisco to collaborate with Levi’s on a special capsule collection of CTs in three washes, to be exclusive to the luxury site. There’s the Piper, a clean blue jean, which Octavia says is one you can wear for work to the office. “It’s kind of minimal and a bit more sophisticated”; the Mission, a black, rock ‘n roll style; and the Hillman…named for Levi’s Chief Product Officer Karyn Hillman (one of the other brains behind the CT). There are only 100 pairs of each of the three Net-a-Porter CT styles being made in Levi’s Eureka Lab with Cone Mills’ White Oak selvedge denim made in North Carolina (Cone has worked with Levi Strauss & Co. for 100 years!). And each one is hand numbered and hand stamped with the Eureka Lab stamp on its inside pocket. Like a lot of good stuff on Net-a-Porter, these Levi’s are probably going to sell out, and quickly. Hurry. But first, read on for more about Octavia’s adventures in denim design with the Levi’s crew. How did the idea come about to collaborate with Levi’s? I just kept seeing – around fashion week and everywhere – this massive trend for vintage denim. Elin Kling and model Camille Rowe…and all these people wearing their amazing 501s and making them look absolutely incredible. And I was thinking we really need to get on this. 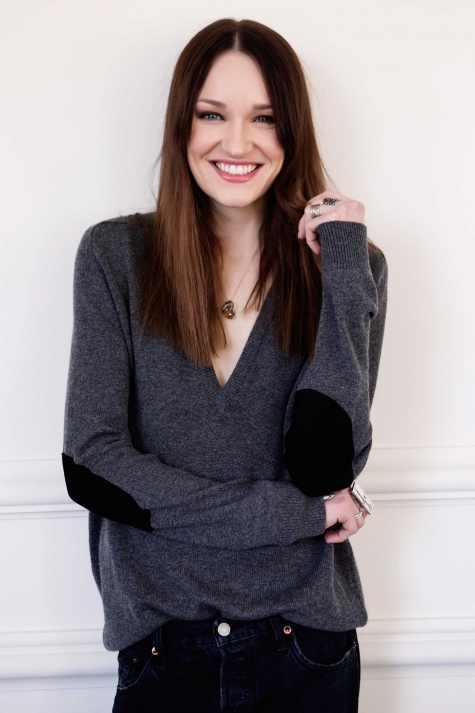 We have to have this represented [on Net-a-Porter]. Then literally that same week, Levi’s called me and said we’ve got this idea… It was exactly what we were looking for, so it was very serendipitous. For so long we’ve had this skinny, skinny, skinny… And people naturally want to be different, to be a fashion leader or wear something not everyone else is wearing. And, naturally, people started going toward vintage. And everyone was like, ahhhh! How do I wear that? And now, you’ve made it easier for them. My job is to serve [laughs]. But that’s what Jonathan was saying. 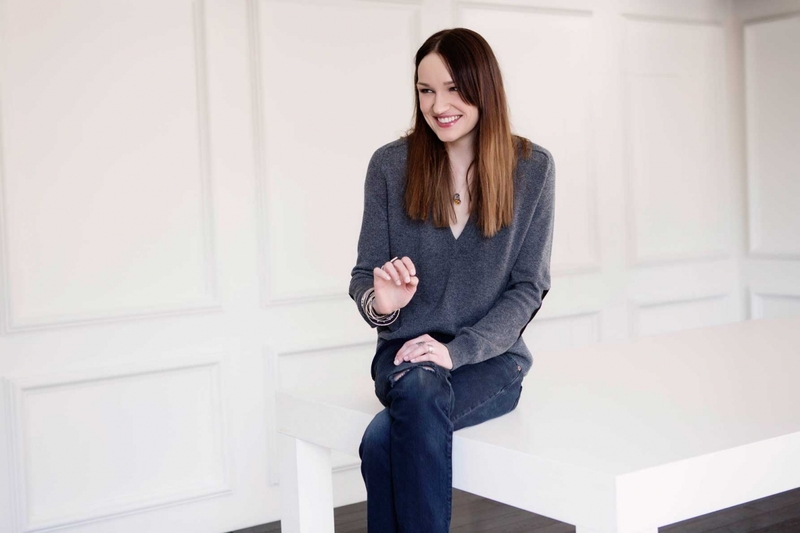 Karyn got the feedback that people were coming to their in-store tailoring saying, ‘I love these jeans, I’ve had them for however many years, or I bought them in a vintage store. But they don’t look good. Help.’ And we’ve all done that thing: ‘I could totally distress these myself!’ Ruined. Trail of denim destruction. What was it like to visit Levi’s Eureka Lab? It’s like the dream. If you’re into jeans, it’s the happy place. I don’t think I thought anywhere like that ever existed. It’s a cross between a lab and this amazing kind of collaborative process. It’s insane. How did you choose these three washes? I wanted to make it a really tight edit: three jeans that could see you through everything. For me, the Piper, which is the clean blue, is one you can wear for work to the office; it’s kind of minimal and a bit more sophisticated. And then the Mission, which is the black one, is the kind of overdyed, rock ‘n roll feel. The Hillman is named after Karyn Hillman at Levi’s. It does look like her jean! She was wearing it when I met her. And we took direct inspiration from that. I wanted to play off Levi’s heritage and mix it with what we know works for our customer. So, how to wear these Levi’s? I wanted to do these so you can wear them in so many ways. Downsize, true to size, upsize. It suits so many looks and body types and heights. I would wear mine with like a band t-shirt and Vans. And then girls in our office would wear it with Equipment shirts and Saint Laurent pumps. I think it has to be very simple and fuss free, because there’s quite a lot going on with them. I think boyfriend jeans, generally, they’re not as easy to style as skinnies. I never bought boyfriend jeans…until now. I’ve always found them difficult. It takes a little bit more thought, but you can get such a cool look in them. So this has been like a personal journey [laughs]. 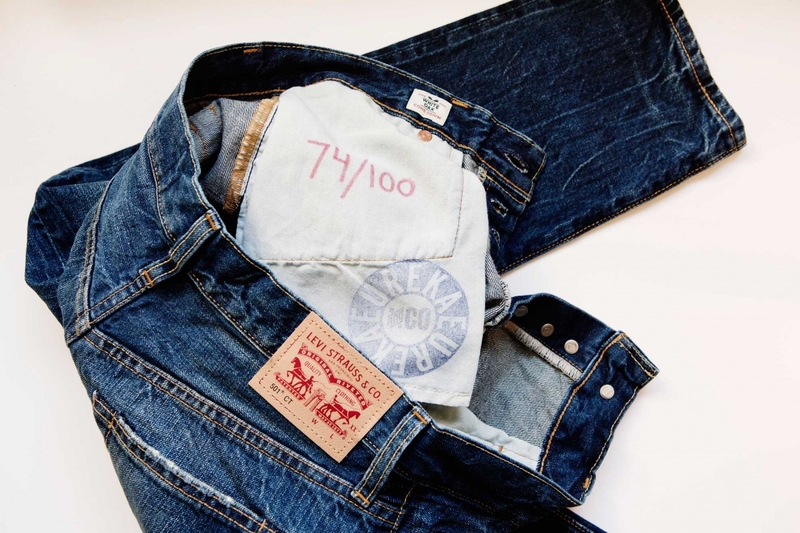 LEVI’S 501 CT FOR NET-A-PORTER, HAND NUMBERED AND STAMPED.